As you may or may not know, the update to Windows 8.1 will become generally available as a Windows Update (KB2919355) on Tuesday April 8, 2014. 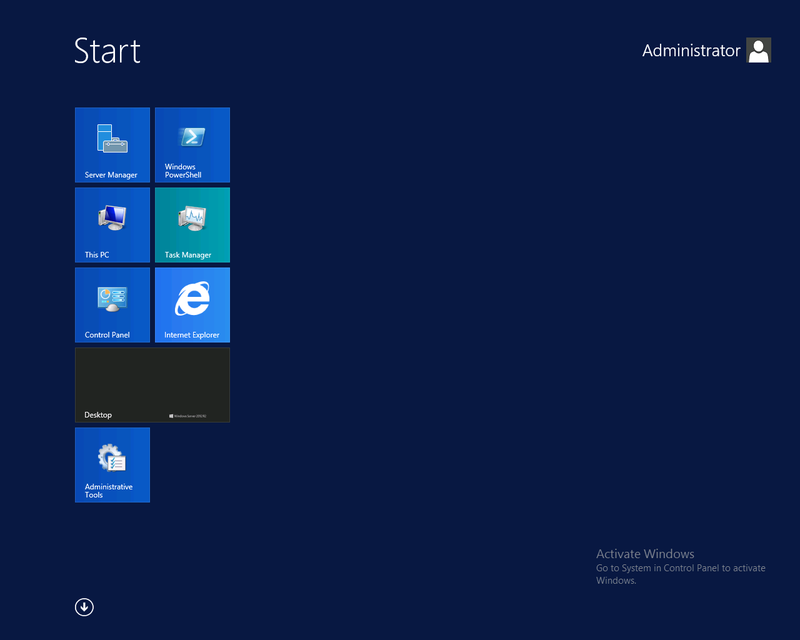 But this update also applies to Windows Server 2012 R2. 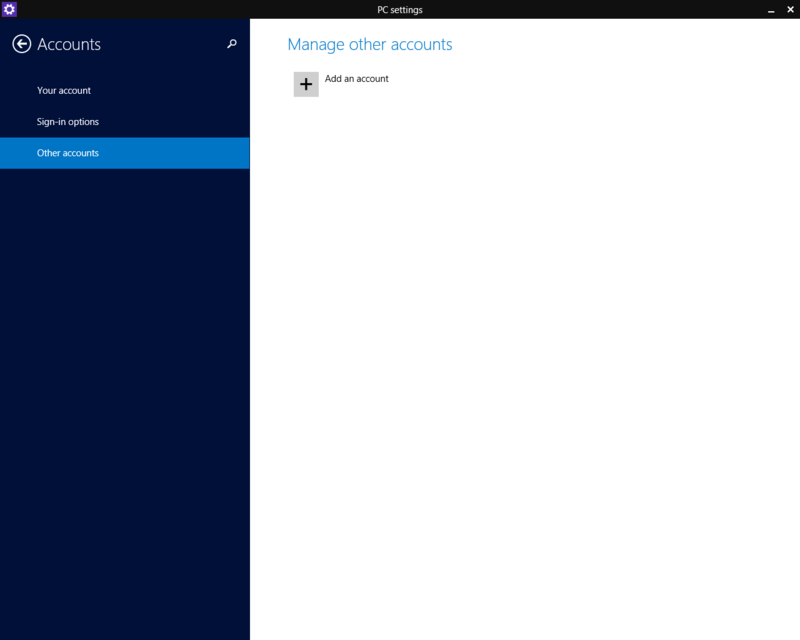 If you have a TechNet or MSDN subscription, you can gain early access to the update. 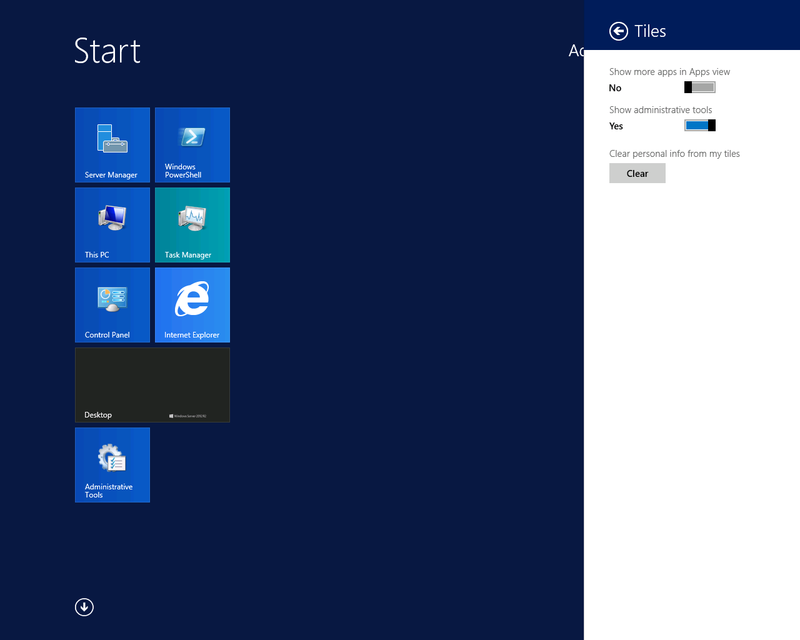 I have installed the latest build of the Windows Server 2012 R2 Update ISO (currently labelled as: en_windows_server_2012_r2_vl_with_update_x64_dvd_4065221), to test it out. 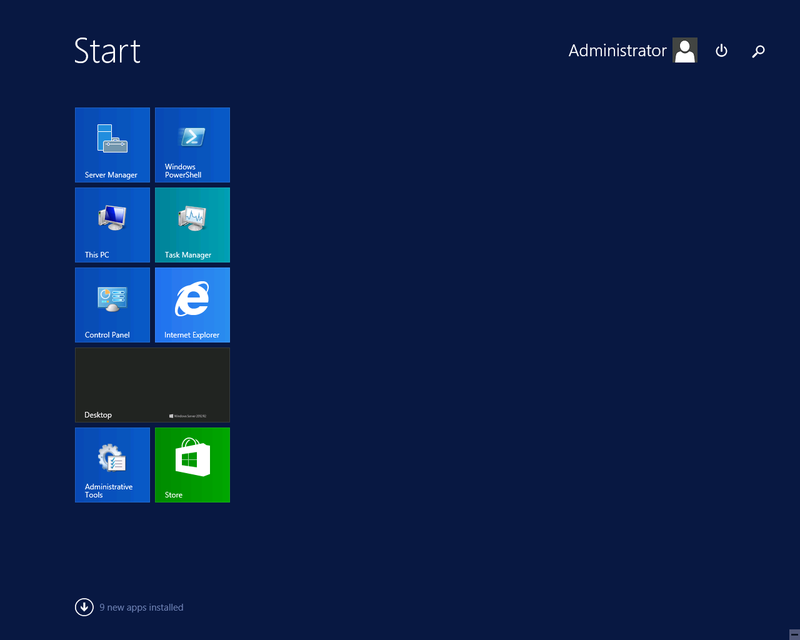 So after the installation, let’s confirm we are running the latest version of Windows Server 2012 R2 with Update. 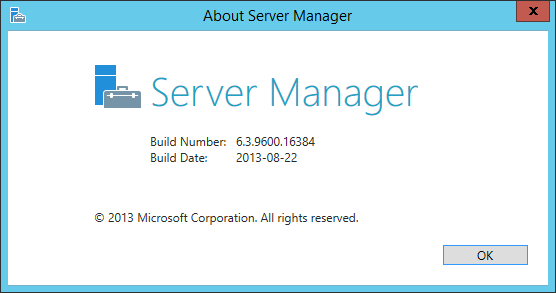 If you open Server Manager, and go to Help > About Server Manager, you will see the Server Manager Information dialog. So, let’s follow the instructions. Right-click the Start icon, and choose Run. In the Run dialog box, type MSInfo32.exe and press OK. This will launch the System Information dialog. And, if we check the Hardware Abstraction Layer, we see that Version = 6.3.9600.17031. 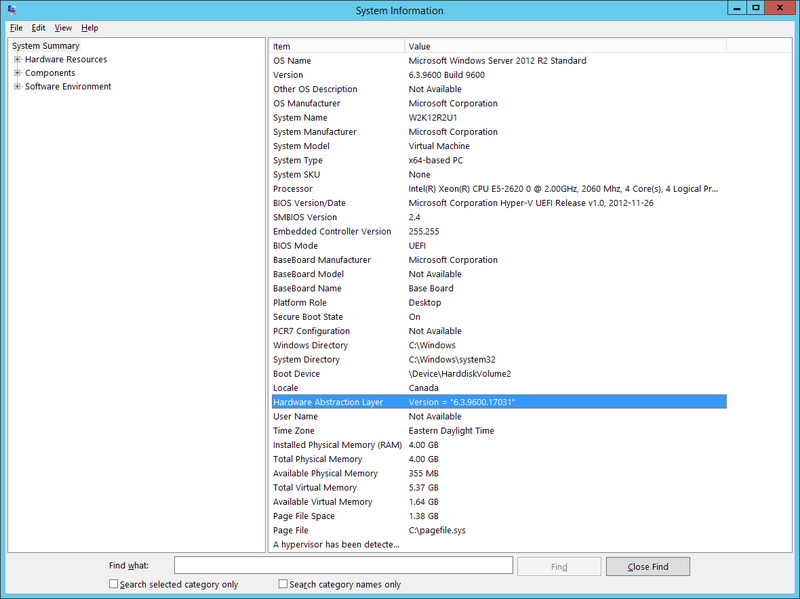 Next let’s compare some of the screens/options between Windows Server 2012 R2 and Windows Server 2012 R2 with Update. On the Start Screen, you will notice that the user interface includes buttons for Search and Power. On the Settings Charm, under the Tiles option, we see a new option/setting for “Show More Apps In App View”. Enabling this option makes the application icons smaller so that more apps are shown per column. 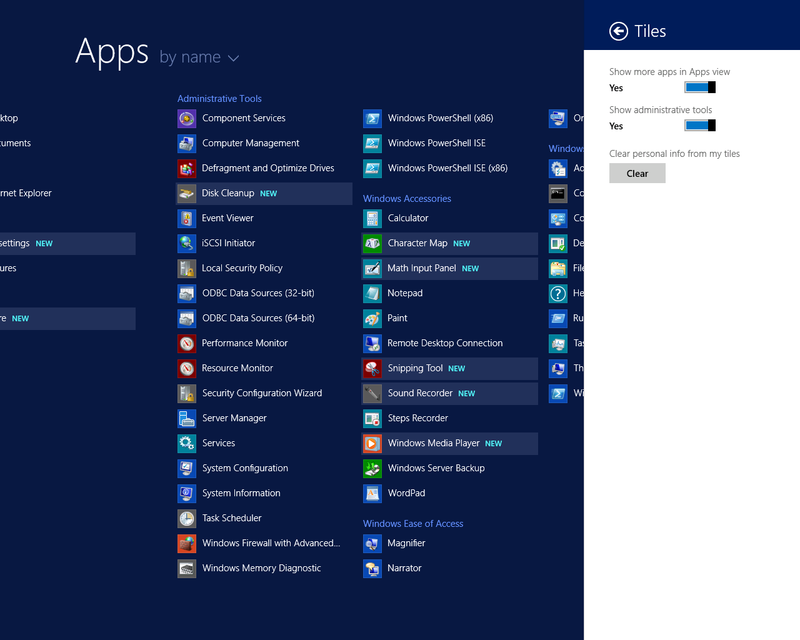 Also, if you install any new applications, on the Start Screen you are now informed about it. 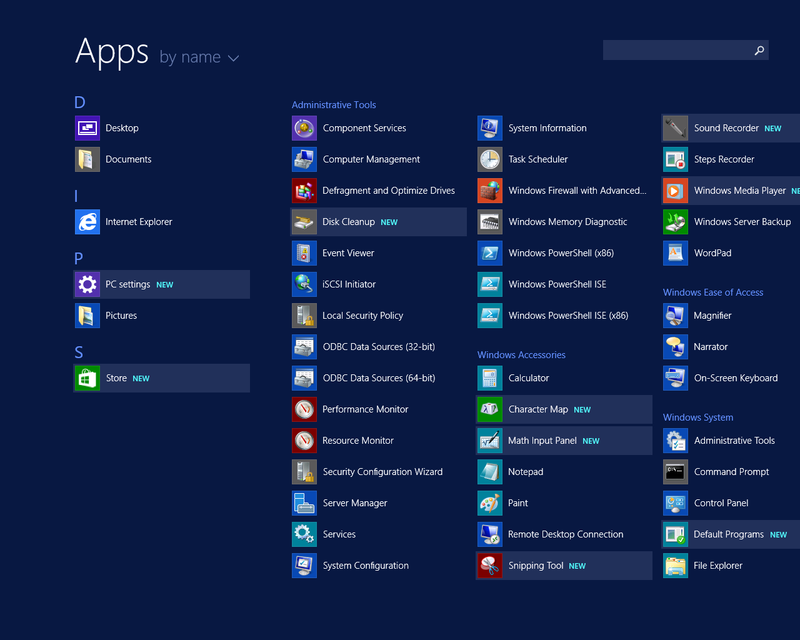 And, the new applications are highlighted so that they stand out. You will also note that the expanded Apps view is slightly different. Notice the “D”, “I”, etc. on the left side of the screen. If you mouse-over to the right side of the screen to access the Settings charm. 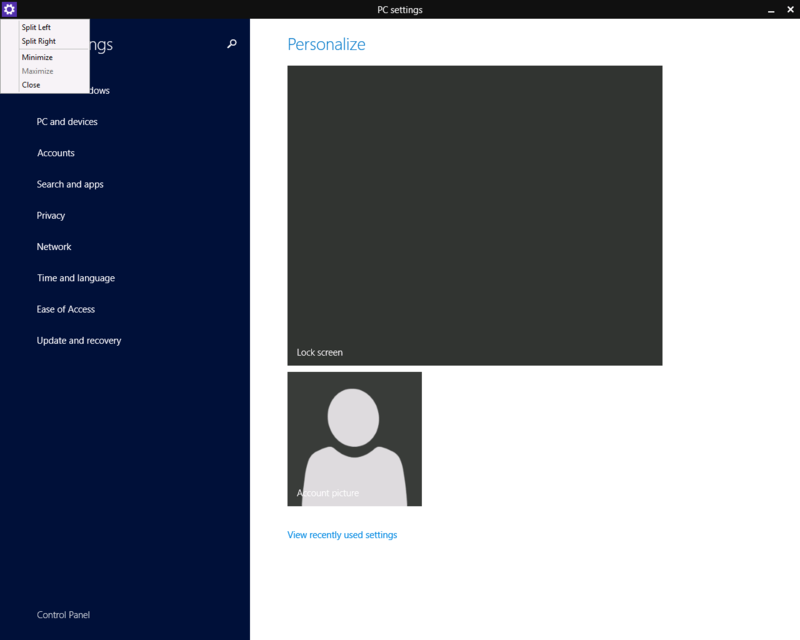 Within there, click on Settings and then click on “Change PC Settings” at the bottom. 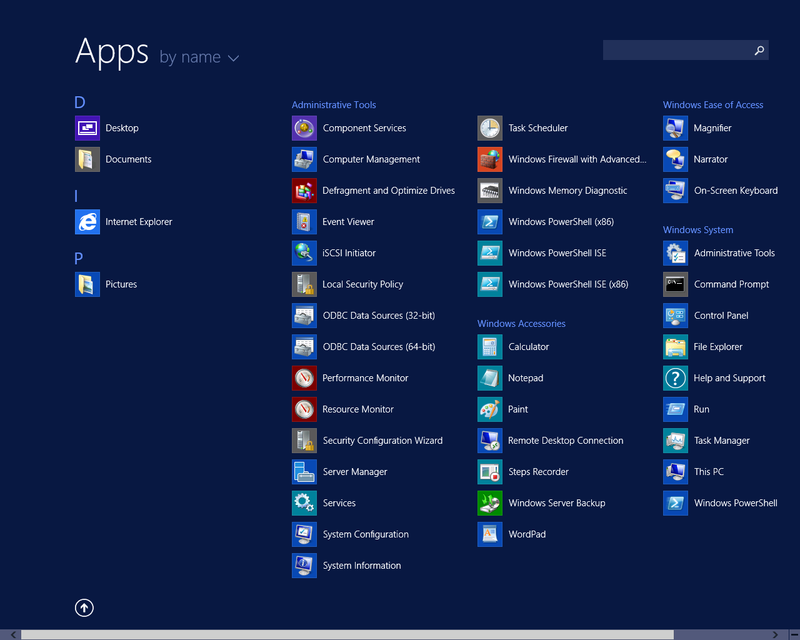 First notice that there is a Title Bar (similar to being in the “non-Metro” Windows space). Notice also that we have the Context menu, and can split the screen view in different ways. There’s even a button on the right to Minimize and/or Close the window. Looking in the Accounts space, there’s a new option for “Other Accounts”. 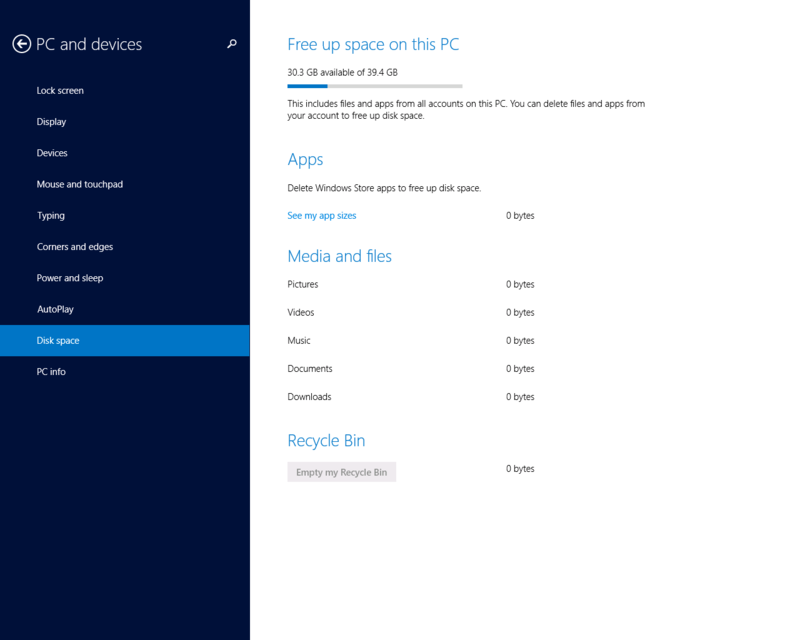 Looking in the PC Ad Devices space, there’s a new option for “Disk Space”. 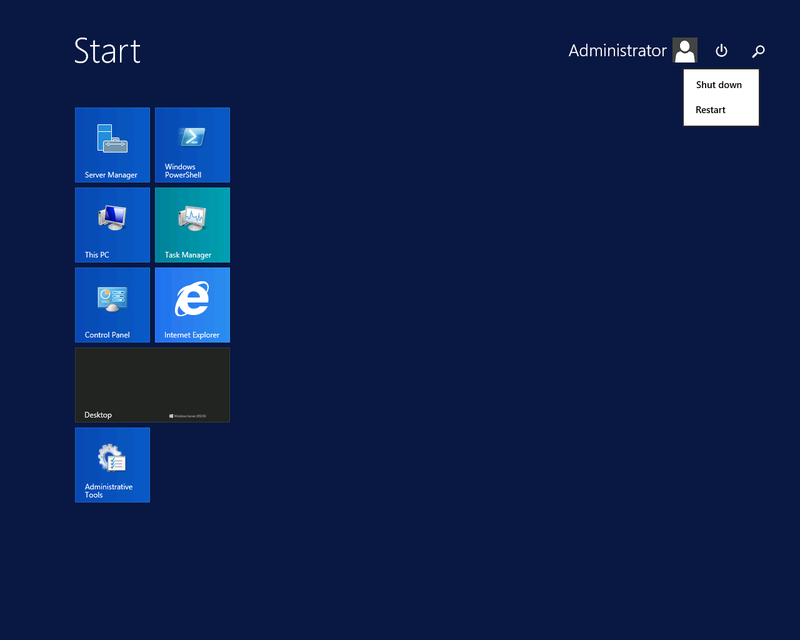 So, that’s a brief look at some of the differences in Windows Server 2012 R2 with Update.